Wrestling Going All the Way? 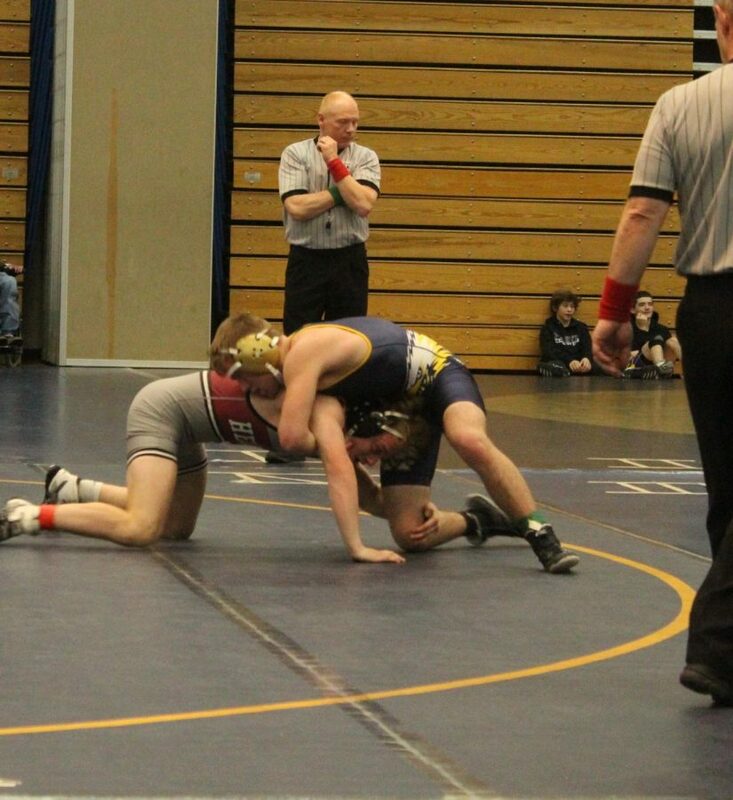 In two weeks, Big Sky wrestling will compete in the state tournament in Billings (February 8 & 9). This year, the team has a really good chance of winning. The best evidence: Eagles’ performance against last year’s state champions, the Flathead Braves. In the first home meet of the year, the Eagles lost to the Flathead Braves 31-28, whereas last year they lost every duel. Big Sky also did really well in the John Fisher Memorial tournament, having senior Dayne Martin, sophomore Hunter Meinzen and junior Jett Rebish all placing. Head coach Rick Moreno said that he thought Big Sky had a really good chance of winning state or at least placing in the top five. He had the main points. The first one is that the team needs to wrestle “beyond rank,” which means that they need to beat players ranked higher than them. The second thing is that Big Sky needs other teams to knock out their big competition, such as Billings West and Flathead. And the final thing they need to have happen is for JV players to step up and help lead the team to victory. There are many big players to look out for as it’s nearing the end of the season. The first one is sophomore Hunter Meinzen. Hunter is Big Sky’s best 145 and goes back and forth with Brock Rodriguez from Bozeman, although Hunter has a very good chance of winning. The other players to look out for are junior Dougie Swanson, junior Jett Rebish and senior Dayne Martin. According to Moreno, the team is doing, “pretty good” this year having a 3-3 team duel record. But Moreno does say that they are doing, “head and shoulders better than last year,” having multiple injuries early last year. He also said that the team was doing better than expected and has a lot of potential, but as always they have room to improve. The Eagles have gotten 4th place at Holiday Classic and 6th place at both Rocky Mountain Invitational and this weekend at AA duels. The biggest rival Big Sky going into the state tournament is Billings West, but if they continue competing the way they have been, they have a shot to take it all.